This article is about the simple chemical coumarin. For the anticoagulants and rodenticides called “coumarins” or “coumadins”, see 4-hydroxycoumarins. 2. Its molecule can be described as a benzene molecule, with two adjacent hydrogen atoms replaced by a lactone-like chain –(CH)=(CH)–(C=O)–O–, forming a second six-membered heterocycle that shares two carbons with the benzene ring. It can be placed in the benzopyrone chemical class, and as a lactone. Coumarin is a colorless crystalline solid, with a sweet odor resembling the scent of vanilla and bitter taste. It is found in many plants, where it may serve as a chemical defense against predators. By inhibiting synthesis of vitamin K, it is used as the prescription drug, warfarin – an anticoagulant – to inhibit formation of blood clots, deep vein thrombosis, and pulmonary embolism. Coumarin is derived from coumarou, the French word for the tonka bean. The word tonka for the tonka bean is taken from the Galibi (Carib) tongue spoken by natives of French Guiana (one source for the plant); it also appears in Old Tupi, another language of the same region, as the name of the tree. The old genus name, Coumarouna, was formed from another Tupi name for tree, kumarú. Coumarin was first isolated from tonka beans in 1820 by A. Vogel of Munich, who initially mistook it for benzoic acid. Also in 1820, Nicholas Jean Baptiste Gaston Guibourt (1790–1867) of France independently isolated coumarin, but he realized that it was not benzoic acid. In a subsequent essay he presented to the pharmacy section of the Académie Royale de Médecine, Guibourt named the new substance coumarine. In 1835, the French pharmacist A. Guillemette proved that Vogel and Guibourt had isolated the same substance. Coumarin was first synthesized in 1868 by the English chemist William Henry Perkin. Coumarin has been used in perfumes since 1882. Coumarin can be prepared by a number of name reactions with the Perkin reaction between salicylaldehyde and acetic anhydride being a popular example. The Pechmann condensation provides another route to coumarin and its derivatives; as does the Kostanecki acylation which can also be used to produce chromones. Coumarin is found naturally in many plants, notably in high concentration in the tonka bean (Dipteryx odorata). It also occurs in vanilla grass (Anthoxanthum odoratum), sweet woodruff (Galium odoratum), sweet grass (Hierochloe odorata) and sweet-clover (genus Melilotus), which are named for the sweet (i.e., pleasant) smell of the compound. Other plants with substantial coumarin content are cassia cinnamon (Cinnamomum cassia; not to be confused with true cinnamon, Cinnamomum verum, or Ceylon cinnamon Cinnamomum zeylanicum which contains little coumarin), deertongue (Dichanthelium clandestinum), mullein (genus Verbascum), and in many cherry blossom tree varieties (of the genus Prunus). Coumarin is also found in extracts of Justicia pectoralis. Related compounds are found in some but not all specimens of genus Glycyrrhiza, from which the root and flavour licorice derives. Coumarin is found naturally also in many edible plants such as strawberries, black currants, apricots, and cherries. Coumarin has appetite-suppressing properties, which may discourage animals from eating plants which contain it. Though the compound has a pleasant sweet odor, it has a bitter taste, and animals tend to avoid it. The biosynthesis of coumarin in plants is via hydroxylation, glycolysis, and cyclization of cinnamic acid. In humans, the enzyme encoded by the gene UGT1A8 has glucuronidase activity with many substrates including coumarins. Coumarin and its derivatives are all considered phenylpropanoids. Some naturally occurring coumarin derivatives include umbelliferone (7-hydroxycoumarin), aesculetin (6,7-dihydroxycoumarin), herniarin (7-methoxycoumarin), psoralen and imperatorin. 4-Phenylcoumarin is the backbone of the neoflavones, a type of neoflavonoids. Coumarin pyrazole hybrids have been synthesized from hydrazones, carbazones and thiocarbazones via Vilsmeier Haack formylation reaction. Coumarin is transformed into the natural anticoagulant dicoumarol by a number of species of fungi. This occurs as the result of the production of 4-hydroxycoumarin, then further (in the presence of naturally occurring formaldehyde) into the actual anticoagulant dicoumarol, a fermentation product and mycotoxin. Dicoumarol was responsible for the bleeding disease known historically as “sweet clover disease” in cattle eating moldy sweet clover silage. In basic research, preliminary evidence exists for coumarin having various biological activities, including anti-inflammatory, anti-tumor, antibacterial, and antifungal properties, among others. Warfarin – a coumarin – with brand name, Coumadin, is a prescription drug used as an anticoagulant to inhibit formation of blood clots, and so is a therapy for deep vein thrombosis and pulmonary embolism. It may be used to prevent recurrent blood clot formation from atrial fibrillation, thrombotic stroke, and transient ischemic attacks. Coumarins have shown some evidence of biological activity and have limited approval for few medical uses as pharmaceuticals, such as in the treatment of lymphedema. Both coumarin and indandione derivatives produce a uricosuric effect, presumably by interfering with the renal tubular reabsorption of urate. Coumarin is used in the pharmaceutical industry as a precursor reagent in the synthesis of a number of synthetic anticoagulant pharmaceuticals similar to dicoumarol. 4-hydroxycoumarins are a type of vitamin K antagonist. They block the regeneration and recycling of vitamin K. These chemicals are sometimes also incorrectly referred to as “coumadins” rather than 4-hydroxycoumarins. Some of the 4-hydroxycoumarin anticoagulant class of chemicals are designed to have high potency and long residence times in the body, and these are used specifically as rodenticides (“rat poison”). Death occurs after a period of several days to two weeks, usually from internal hemorrhaging. Coumarin dyes are extensively used as gain media in blue-green tunable organic dye lasers. Among the various coumarin laser dyes are coumarins 480, 490, 504, 521, 504T, and 521T. Coumarin tetramethyl laser dyes offer wide tunability and high laser gain, and they are also used as active medium in coherent OLED emitters. and as a sensitizer in older photovoltaic technologies. Coumarin is often found in artificial vanilla substitutes, despite having been banned as a food additive in numerous countries since the mid-20th century. It is still used as a legal flavorant in soaps, rubber products, and the tobacco industry, particularly for sweet pipe tobacco and certain alcoholic drinks. Coumarin is moderately toxic to the liver and kidneys, with a median lethal dose (LD50) of 275 mg/kg, a low toxicity compared to related compounds. Though it is only somewhat dangerous to humans, coumarin is hepatotoxic in rats, but less so in mice. Rodents metabolize it mostly to 3,4-coumarin epoxide, a toxic, unstable compound that on further differential metabolism may cause liver cancer in rats and lung tumors in mice. Humans metabolize it mainly to 7-hydroxycoumarin, a compound of lower toxicity. The German Federal Institute for Risk Assessment has established a tolerable daily intake (TDI) of 0.1 mg coumarin per kg body weight, but also advises that higher intake for a short time is not dangerous. The Occupational Safety and Health Administration (OSHA) of the United States does not classify coumarin as a carcinogen for humans. European health agencies have warned against consuming high amounts of cassia bark, one of the four main species of cinnamon, because of its coumarin content. According to the German Federal Institute for Risk Assessment (BFR), 1 kg of (cassia) cinnamon powder contains about 2.1 to 4.4 g of coumarin. Powdered cassia cinnamon weighs 0.56 g/cm3, so a kilogram of cassia cinnamon powder equals 362.29 teaspoons. One teaspoon of cassia cinnamon powder therefore contains 5.8 to 12.1 mg of coumarin, which may be above the tolerable daily intake value for smaller individuals. However, the BFR only cautions against high daily intake of foods containing coumarin. Its report specifically states that Ceylon cinnamon (Cinnamomum verum) contains “hardly any” coumarin. The European Regulation (EC) No 1334/2008 describes the following maximum limits for coumarin: 50 mg/kg in traditional and/or seasonal bakery ware containing a reference to cinnamon in the labeling, 20 mg/kg in breakfast cereals including muesli, 15 mg/kg in fine bakery ware, with the exception of traditional and/or seasonal bakery ware containing a reference to cinnamon in the labeling, and 5 mg/kg in desserts. An investigation from the Danish Veterinary and Food Administration in 2013 shows that bakery goods characterized as fine bakery ware exceeds the European limit (15 mg/kg) in almost 50% of the cases. The paper also mentions tea as an additional important contributor to the overall coumarin intake, especially for children with a sweet habit. 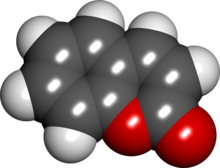 Coumarin was banned as a food additive in the United States in 1954, largely because of the hepatotoxicity results in rodents. Coumarin is currently listed by the Food and Drug Administration (FDA) of the United States among “Substances Generally Prohibited From Direct Addition or Use as Human Food,” according to 21 CFR 189.130, but some natural additives containing coumarin, such as the flavorant sweet woodruff are allowed “in alcoholic beverages only” under 21 CFR 172.510. In Europe, popular examples of such beverages are Maiwein, white wine with woodruff, and Żubrówka, vodka flavoured with bison grass. Coumarin is subject to restrictions on its use in perfumery, as some people may become sensitized to it, however the evidence that coumarin can cause an allergic reaction in humans is disputed. Coumarin’s presence in cigarette tobacco Brown & Williamson executive Dr. Jeffrey Wigand to contact CBS‘s news show 60 Minutes in 1995, charging that a “form of rat poison” was in the tobacco. He held that from a chemist’s point of view, coumarin is an “immediate precursor” to the rodenticide coumadin. Dr. Wigand later stated that coumarin itself is dangerous, pointing out that the FDA had banned its addition to human food in 1954. Under his later testimony, he would repeatedly classify coumarin as a “lung-specific carcinogen.” In Germany, coumarin is banned as an additive in tobacco. Alcoholic beverages sold in the European Union are limited to a maximum of 10 mg/l coumarin by law. Cinnamon flavor is generally cassia bark steam-distilled to concentrate the cinnamaldehyde, for example, to about 93%. Clear cinnamon-flavored alcoholic beverages generally test negative for coumarin, but if whole cassia bark is used to make mulled wine, then coumarin shows up in significant levels. ^ a b c d e f g h i j “Coumarin”. PubChem, National Library of Medicine, US National Institutes of Health. 4 April 2019. Retrieved 13 April 2019. ^ a b “Coumarins and indandiones”. Drugs.com. 2016. Retrieved 24 December 2016. ^ Vogel, A. (1820). “Darstellung von Benzoesäure aus der Tonka-Bohne und aus den Meliloten- oder Steinklee-Blumen” [Preparation of benzoic acid from tonka beans and from the flowers of melilot or sweet clover]. Annalen der Physik (in German). 64 (2): 161–166. Bibcode:1820AnP….64..161V. doi:10.1002/andp.18200640205. ^ Vogel, A. (1820). “De l’existence de l’acide benzoïque dans la fève de tonka et dans les fleurs de mélilot” [On the existence of benzoic acid in the tonka bean and in the flowers of melilot]. Journal de Pharmacie (in French). 6: 305–309. ^ Guibourt, N. J. B. G. (1820). Histoire Abrégée des Drogues Simples [Abridged History of Simple Drugs] (in French). 2. Paris: L. Colas. pp. 160–161. ^ Guillemette, A. (1835). “Recherches sur la matière cristalline du mélilot” [Research into the crystalline material of melilot]. Journal de Pharmacie. 21: 172–178. ^ Perkin, W. H. (1868). “On the artificial production of coumarin and formation of its homologues”. Journal of the Chemical Society. 21: 53–63. doi:10.1039/js8682100053. ^ Leal, L. K. A. M.; Ferreira, A. A. G.; Bezerra, G. A.; Matos, F. J. A.; Viana, G. S. B. (May 2000). “Antinociceptive, anti-inflammatory and bronchodilator activities of Brazilian medicinal plants containing coumarin: a comparative study”. Journal of Ethnopharmacology. 70 (2): 151–159. doi:10.1016/S0378-8741(99)00165-8. ISSN 0378-8741. PMID 10771205. Retrieved 2010-06-26. ^ Lino, C. S.; Taveira, M. L.; Viana, G. S. B.; Matos, F. J. A. (1997). “Analgesic and antiinflammatory activities of Justicia pectoralis Jacq. and its main constituents: coumarin and umbelliferone”. Phytotherapy Research. 11 (3): 211–215. doi:10.1002/(SICI)1099-1573(199705)11:3<211::AID-PTR72>3.0.CO;2-W. Archived from the original on 2013-01-05. Retrieved 2010-06-26. ^ Hatano, T.; et al. (1991). “Phenolic constituents of licorice. IV. Correlation of phenolic constituents and licorice specimens from various sources, and inhibitory effects of…”. Yakugaku Zasshi. 111: 311–21. PMID 1941536. ^ Link, K. P. (1 January 1959). “The discovery of dicumarol and its sequels”. Circulation. 19 (1): 97–107. doi:10.1161/01.CIR.19.1.97. PMID 13619027. ^ Ritter, J. K.; et al. (Mar 1992). “A novel complex locus UGT1 encodes human bilirubin, phenol, and other UDP-glucuronosyltransferase isozymes with identical carboxyl termini”. J. Biol. Chem. 267 (5): 3257–3261. PMID 1339448. ^ Nagamallu, Renuka; Srinivasan, Bharath; Ningappa, Mylarappa B.; Kariyappa, Ajay Kumar (January 2016). “Synthesis of novel coumarin appended bis(formylpyrazole) derivatives: Studies on their antimicrobial and antioxidant activities”. Bioorganic & Medicinal Chemistry Letters. 26 (2): 690–694. doi:10.1016/j.bmcl.2015.11.038. ^ International Programme on Chemical Safety. “Brodifacoum (pesticide data sheet)”. Archived from the original on 2006-12-09. Retrieved 2006-12-14. ^ Laposata, M; Van Cott, E. M.; Lev, M. H. (2007). “Case 1-2007—A 40-Year-Old Woman with Epistaxis, Hematemesis, and Altered Mental Status”. New England Journal of Medicine. 356 (2): 174–82. doi:10.1056/NEJMcpc069032. PMID 17215536. ^ International Programme on Chemical Safety. “Bromadiolone (pesticide data sheet)”. Archived from the original on 2006-12-21. Retrieved 2006-12-14. ^ International Programme on Chemical Safety. “Difenacoum (health and safety guide)”. Retrieved 2006-12-14. ^ Syah, Y. M.; et al. (2009). “A modified oligostilbenoid, diptoindonesin C, from Shorea pinanga Scheff”. Natural Product Research. 23 (7): 591–594. doi:10.1080/14786410600761235. PMID 19401910. ^ a b c Venugopala, K. N.; Rashmi, V; Odhav, B (2013). “Review on Natural Coumarin Lead Compounds for Their Pharmacological Activity”. BioMed Research International. 2013: 1–14. doi:10.1155/2013/963248. PMC 3622347. PMID 23586066. ^ Bye, A.; King, H. K. (1970). “The biosynthesis of 4-hydroxycoumarin and dicoumarol by Aspergillus fumigatus Fresenius”. Biochemical Journal. 117 (2): 237–45. doi:10.1042/bj1170237. PMC 1178855. PMID 4192639. ^ a b c “Warfarin”. Drugs.com. 7 March 2019. Retrieved 13 April 2019. ^ Farinola, N.; Piller, N. (June 1, 2005). “Pharmacogenomics: Its role in re-establishing coumarin as treatment for lymphedema”. Lymphatic Research and Biology. 3 (2): 81–86. doi:10.1089/lrb.2005.3.81. PMID 16000056. ^ Christensen, Flemming (1964-01-12). “Uricosuric Effect of Dicoumarol”. Acta Medica Scandinavica. 175 (4): 461–468. doi:10.1111/j.0954-6820.1964.tb00594.x. ISSN 0954-6820. ^ Chen, C. H.; Fox, J. L.; Duarte, F. J. (1988). “Lasing characteristics of new-coumarin-analog dyes: broadband and narrow-linewidth performance”. Appl. Opt. 27 (3): 443–445. Bibcode:1988ApOpt..27..443C. doi:10.1364/ao.27.000443. PMID 20523615. ^ Duarte, F. J.; Liao, L. S.; Vaeth, K. M.; Miller, A. M. (2006). “Widely tunable laser emission using the coumarin 545 tetramethyl dye as gain medium”. J. Opt. A. 8 (2): 172–174. Bibcode:2006JOptA…8..172D. doi:10.1088/1464-4258/8/2/010. ^ Duarte, F. J.; Liao, L. S.; Vaeth, K. M. (2005). “Coherence characteristics of electrically excited tandem organic light-emitting diodes”. Opt. Lett. 30 (22): 3072–3074. Bibcode:2005OptL…30.3072D. doi:10.1364/ol.30.003072. PMID 16315725. ^ Vassallo, J. D.; et al. (2004). “Metabolic detoxification determines species differences in coumarin-induced hepatotoxicity”. Toxicological Sciences. 80 (2): 249–57. doi:10.1093/toxsci/kfh162. PMID 15141102. ^ Born, S. L.; et al. (2003). “Comparative metabolism and kinetics of coumarin in mice and rats”. Food and Chemical Toxicology. 41 (2): 247–58. doi:10.1016/s0278-6915(02)00227-2. PMID 12480300. ^ “Frequently Asked Questions about coumarin in cinnamon and other foods” (PDF). The German Federal Institute for Risk Assessment. 30 October 2006. Archived from the original (PDF) on 19 April 2009. ^ “Chemical Sampling Information – Coumarin”. Osha.gov. Retrieved 30 December 2015. ^ “Cassia cinnamon with high coumarin contents to be consumed in moderation – BfR”. Bfr.bund.de. Retrieved 30 December 2015. ^ “German Christmas Cookies Pose Health Danger”. NPR.org. 25 December 2006. Retrieved 30 December 2015. ^ a b c “High daily intakes of cinnamon: Health risk cannot be ruled out. BfR Health Assessment No. 044/2006, 18 August 2006” (PDF). bund.de. Retrieved 28 March 2018. ^ Ballin, Nicolai Z.; Sørensen, Ann T. (April 2014). “Coumarin content in cinnamon containing food products on the Danish market”. Food Control. 38 (2014): 198–203. doi:10.1016/j.foodcont.2013.10.014. ^ Marles, R. J.; et al. (1986). “Coumarin in vanilla extracts: Its detection and significance”. Economic Botany. 41 (1): 41–47. doi:10.1007/BF02859345. ^ “Food and Drugs”. Access.gpo.gov. Archived from the original on 5 February 2012. Retrieved 30 December 2015. ^ “Food and Drugs”. Access.gpo.gov. Retrieved 30 December 2015. ^ “Cropwatch Claims Victory Regarding “26 Allergens” Legislation : Modified from article originally written for Aromaconnection, Feb 2008″ (PDF). Leffingwell.com. Retrieved 2 December 2018. ^ Wessling, J. (2001). “Neurological outcome in school-age children after in utero exposure to coumarins”. Early Human Development. 63 (2): 83–95. doi:10.1016/S0378-3782(01)00140-2. ^ “Jeffrey Wigand : Jeffrey Wigand on 60 Minutes”. Jeffreywigand.com. Retrieved 30 December 2015. ^ “Tobacco On Trial”. Tobacco-on-trial.com. Retrieved 30 December 2015. ^ “Industry Documents Library”. Legacy.library.ucsf.edu. Retrieved 2 December 2018. ^ Wang, YH; Avula, B.; Zhao, J.; Smillie, TJ; Nanayakkara, NPD; Khan, IA (2010). “Thieme E-Journals – Planta Medica / Abstract”. Planta Medica. 76 (5). doi:10.1055/s-0030-1251793.